It took me ages to decide to create this page. Then I thought "What the Heck?" After all, if you are one of these people, then you are on a gay site anyway, so you are pretty unlikely to mind seeing yourself here. And I've put it in a pretty obscure place. Though search engines will find it, and you'll maybe be here because you are just plain curious. None of the boys pictured here is gay. Not as far as I am aware, at least. Nor did they ever give me any reason to believe that they might be at all interested in other boys. You might even be here because a friend has spotted your face here. Well, if he isn't gay, then what was he doing here? If I've based a story around a boy, or something about him appears elsewhere on this site, then I've made his picture fire up my site search engine, and set it to find all the pages here associated with my train of thought. For example, Tim is the inspiration behind "Acting as Friends", so the search engine will pick up all pages with the words "Acting as Friends" in them when you click on Tim's picture because that is what I've told it to do. It isn't a hugely bright search engine. It doesn't seem to take a phrase as its source string, so there will be some spurious hits. Well, at least you'll find places you never went before! The first is the most important to me. The first is John. 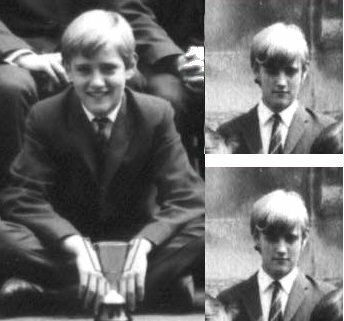 When I fell in love with John he was thirteen and so was I. It was the first time I realised I was gay. Falling for him was a horrible shock. 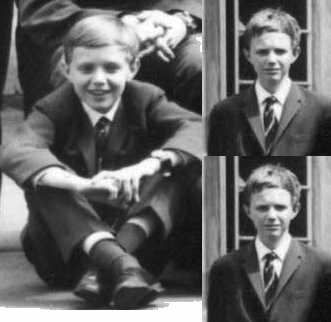 Search This Site for John - Click his picture! You'll get some(!) hits from the stories, too. John is a pretty common name. 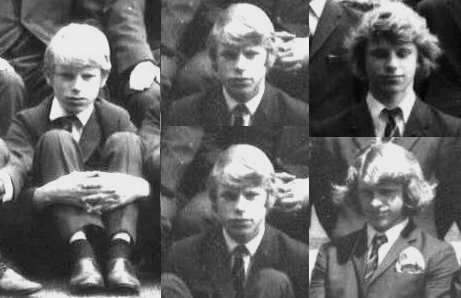 When John left the school I had a year and a term left to serve. It felt like a prison without him. I think I transferred my affections almost equally between a number of different boys. If any were "most important", Paul was. Search This Site for Paul - Click his picture! Paul was so different from the demure pictures here. His day to day face was wicked, grinning, with the brightest blue piercing eyes you have ever seen. He was a rebel. THE rebel. He is the star of "Wotcha Bennett! ", and his effect on me is described if you click his picture. 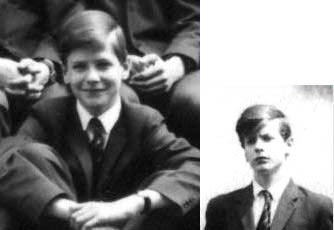 Even while I was desperately in love with John, I knew he could never, would never be mine. My eyes and libido were wandering over all my colleagues and I was in awe of so many. Why do we always fall for straight boys? There are really too many to list. The next is Nigel. 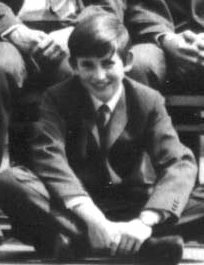 Nigel inspired the story "Chris and Nigel". Nigel was very real, and I describe him on the background notes to the stories. Again, use the search form below. Mind you, you'll get a lot of hits by typing the name "Nigel" in. Nigel even inspired the jeweller's scene in the story. His dad was our local small town jeweller! I got caught looking at Nigel's legs by John's brother Peter. That was the day I became certain that Peter knew I was gay, and that was the day my heart both sank and lifted because if Peter knew, then John knew. Only I never got to know if John knew. 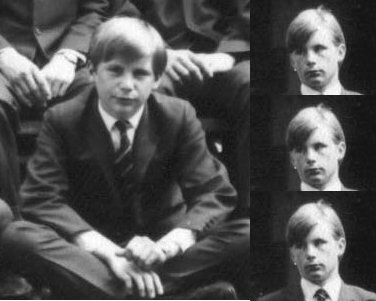 Search This Site for Nigel - Click his picture! Search This Site for Fraser - Click his picture! How many others? Tim was a total delight. The inspiration for "Acting as Friends". He was such a pretty boy, and his youthful good looks stayed with him throughout. Search This Site for Tim - Click his picture! David is an interesting exception. He's the first of very few dark haired boys I have even been attracted to. My natural attraction is to blond haired boys. But David? Oh wow! Somehow I remember him as older, with long eyelashes, and doe eyes. If he turned those soft eyes on you he could get away with anything he'd done. This will sound stupid, but James grew on me gently. I never liked James. He was rampantly homophobic. To me that made a sweet young man to be totally unattractive. But I looked at him and marvelled. 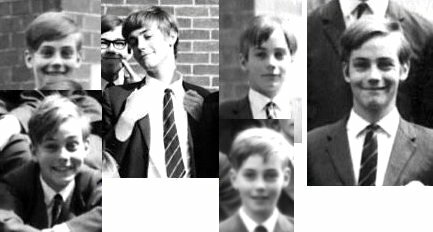 I notice James first when Ricky, a lad in my year who was famously gay and out (unheard of at school in the 1960s, said "Who is that gorgeous boy?" And I looked. And it was James. And he was gorgeous. Do you know this makes me wonder. Ricky B, have you been to my site? Maybe you should email me and tell me. Maybe you know who I am? There is one more person who has inspired all the stories. You even get to vote on him. He was a strange kid, closeted, repressed, in need of love. I would have loved him if I had known him. Don't confuse him with Tim, above, if you vote for your favourite. Hover over this picture to find out more! With your mouse! How else would you hover? Oh there were so many more. so many. These pictures, Paul apart, are from my own house at school. Paul was in a newly created house that split from mine. But over my time at that school, over five years and a term, I can list over fifty boys that I was so attracted to that it hurt. So many stories left to write! I've reset the poll, below, because so many folk seemed just to vote for the top boy on the list. He is lovely, but he is was unlikely to be so far ut in front. So I've scrambled the order. Do not confuse 'Tim" with 'timmy'. So please look, imagine them in life, and choose your single favourite. The pictures do not do them justice. Which is your personal favourite boy in the Rogues Gallery?